Summary: A mini-game based title that strives to sharpen various brain functions; fun to play in groups of two or more. Price: About $30 (recently lowered from about $50 at many retailers). Obviously: Requires a Wii and two Wii Remotes, to maximize the number of players. Summary: A "game" with reportedly over 60 instruments to air-play (air guitar, air flute, air timpani, etc.) with the Wii remote and various Wii peripherals. Unlike Guitar Hero or Rock Band, Wii Music focuses on creativity over competition. 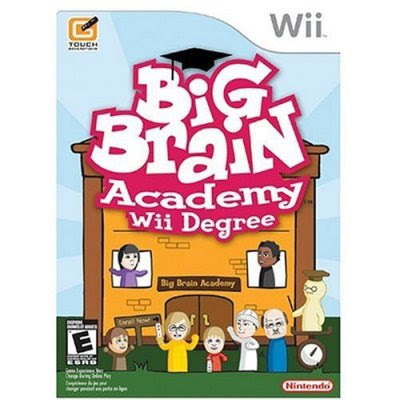 It is definitely a polarizing game in the Wii Series catalog and probably best played with other people. Obviously: You'll need a Wii, several controllers, several nunchuk peripherals, and a Wii balance board to maximize the usefulness of "game." Yes, all that needs a TV and electricity, too. Summary: Rereate virtually every Death Star interior scene from Star Wars Episode IV: A New Hope and Star Wars Episode VI: Return of the Jedi - and imagine new adventures beyond the big screen! Set contains 19 human/humanoid/protocol droid (C3-PO type) minifigures, two astromech droid (R2-D2 type) minifigures, and three other droids - all to help you take your imagination to another galaxy - a long time ago, and far, far away, to be exact. Building set contains 3803 pieces. Summary: It's like your local hardware store, but with plastic interlocking bricks. Wii Sports Resort, the sequel to Wii Sports, containing new sports games and introducing the Wii MotionPlus peripheral - to be released in the spring of 2009. We'll post new information about these and other exciting Guess Who's Toys? as new information becomes available.